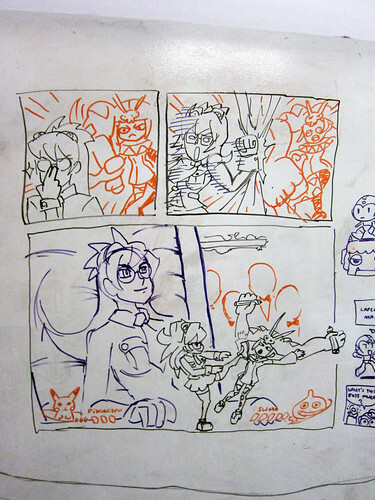 It’s time for more whiteboard art, courtesy of Reverge Labs’ awesome art staff. 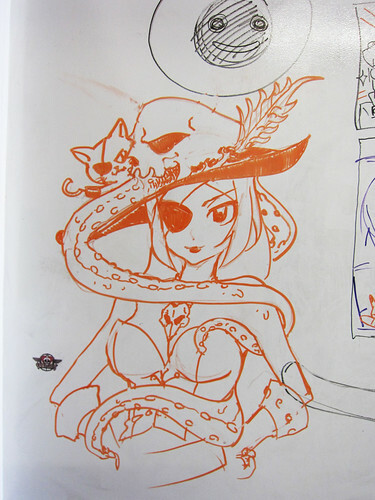 We’ve got quite an assortment of art this week, including the gender-bent Skullboys, as well as some bonus paintchat art. 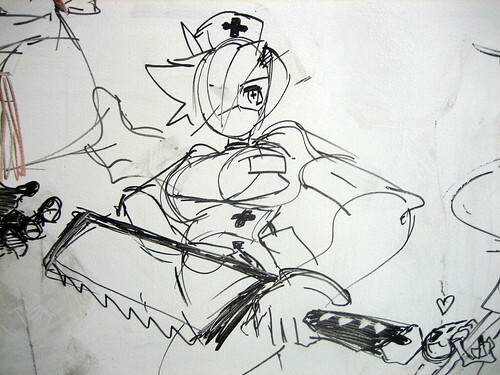 Just a heads-up… I’ll be in Germany for Gamescom next week, so there likely won’t be a Whiteboard Wednesday. omg this is pretty crazy, I was about to suggest you folks do ‘skullboys’ this week, but you went and did it anyway. 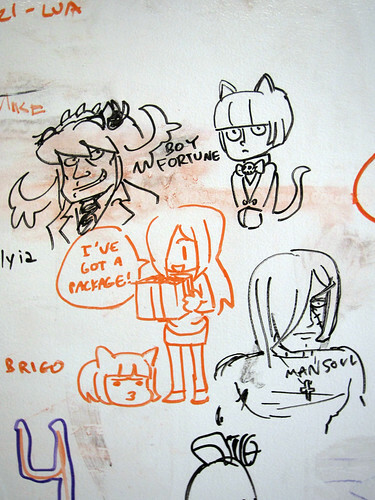 Parasoul with a package is a bit unnerving though, haha. Thanks for the delicious Cerebeunny Ravid! 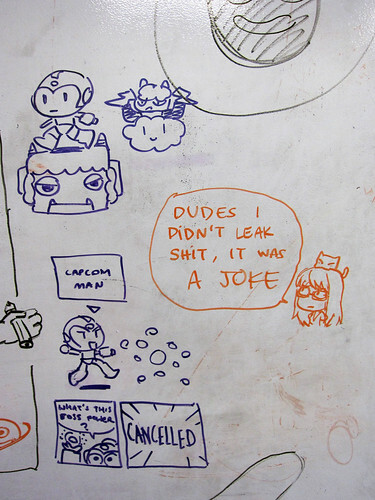 I think we’ve done a pretty good job at anticipating everyone’s needs on all fronts, including whiteboard art! Revergelabs confirmed a while ago that there will be playable boys as DLC in the future. 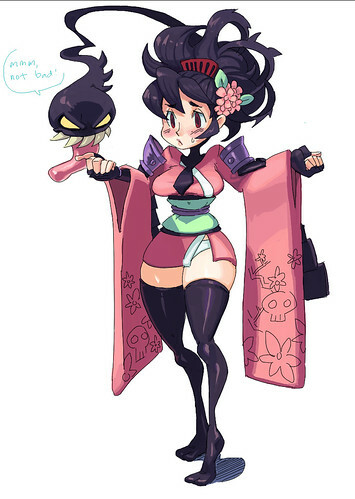 Oh snap, is that Momohime I see? 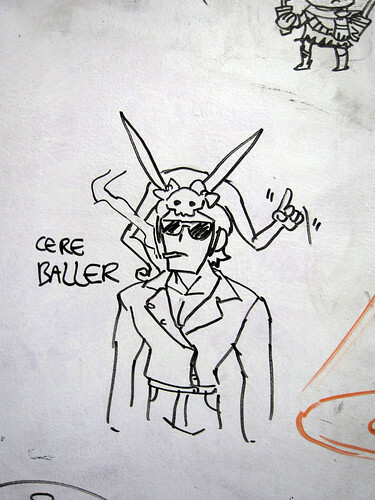 If you guys can do DLC costumes, the Cerebunny needs to be first on your list. You can’t really do “costumes” on a 2D game without completely reanimating the character, so I don’t think that likely to happen, as awesome as it could be. 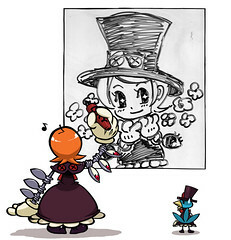 She kind of reminds me of B. Jenet from KOF. You should draw her!